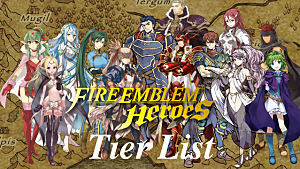 There are plenty of characters to choose from in Fire Emblem Heroes, all with their own strengths, weaknesses, and skills. You can only have 4 on a team, so it can be hard to choose. Besides wanting all your favorites, it is a good idea to look at what each unit can do, and how they can help each other. Where you position your units also plays a big role in whether you win or lose. Your units abilities could turn a losing battle, into a winning one. I'm here to give some tips on building a strong team -- and how to position them to take you through high level missions, and win arena battles. Team Building Tips - What to look at when building teams and examples of units that work well together. Field Positioning Tips - How to use the field to your advantage, and how you should place your units. Weapon/Color Type - The weapon triangle is important because you will deal more damage to a unit you are strong against, and they will deal less damage to you. Skills - Passive and support skills can greatly change how your team performs. For example: Having different units that can lower Atk, Def, and/or Spd can make you win against units you wouldn't normally be able to beat. Star Rank - You may not think too much about this, but each star rank gives a big improvement over the previous. You can get more skills, better weapons, and higher stats overall. 4 star and higher is what you should shoot for, but certain 3 stars will also work. It is a good idea to try to cover each weapon type in the triangle, but sometimes you can't, or shouldn't, based on who you are fighting. I do suggest getting at least 2 of the 3 colored weapon types. This way you will have someone neutral to a weapon, even if you don't have someone strong against it. Get a mage - Any mage, but particularly one that's a different color from your other units if you can. 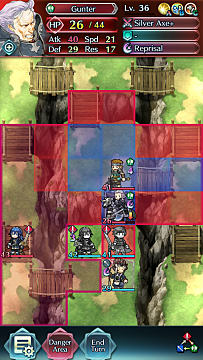 Mages can attack from 2 spaces away and can deal a lot of damage to knights and other units that have low Res. Support and/or Healer - These save games, especially healers. My main team uses 2 Red Sword users, a Blue Mage, and a Healer. 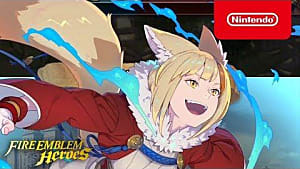 Healers can keep you alive and beat a unit you would lose against, and even offer extra benefits like Atk or Def. Singers or Dancers like Olivia are great as well because they can let one of your units act twice in a single turn. Bows and Daggers - These are also good to have on any team because they can attack from 2 spaces away. They are colorless type, so they don't have normal weaknesses, but they offer extra benefits. 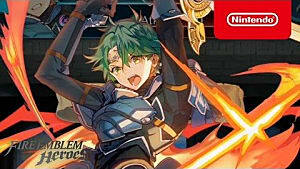 Bows are strong against flying units, and could have skills that make them strong against other bows or colorless units. When deciding also look at the unit type. Some can fly, while other have horses or walk on foot. This changes how they can move around the field, which is import for the Field Positioning section. No matter how strong your units are, you can lose if you go up against units of a similar level. Positioning and moving around the field correctly can give you an advantage. 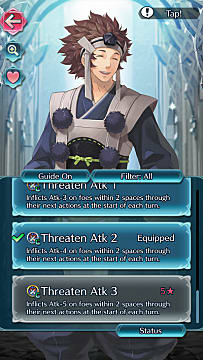 Many units have skills that can either raise a stat of allies when next to, or within 2 space -- or lower the stat of an enemy when within 2 spaces. 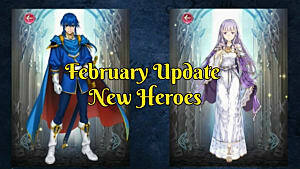 Others may also trigger bonuses when at a certain HP% -- or after combat with another unit. All of this determines how you should move around the battlefield, and how you pick your units. It is a good idea to have at least 2 units that can raise or lower Def and Res. This will give your team the advantage in any situation. If you have multiple units that all give bonuses to allies or debuff enemies, make sure they are within range of one another. Ranged units can venture out, but check the movement range of the enemy to see if they can counter you next turn. If your bonuses are to adjacent allies, make a "+" formation so that your leader will get the bonuses of everyone. I use Roy, Lucina, Robin, and Azama. 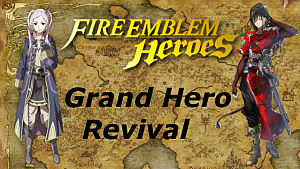 Roy lowers the Def of a unit after combat, Lucina raises Atk of adjacent allies, Robin raises Def of adjacent allies, and Azama lowers Atk of enemies within 2 spaces. If I put Roy in the middle, Robin or Azama in the back or side, and Lucina or the other side, Roy can get all the bonuses, plus apply his own debuff to the enemy. Always see where the enemy can move. This greatly affects where you should position your units. Most of the time if you are not within range of the enemy, they will not move and that's okay. Use this time to position your team just right. 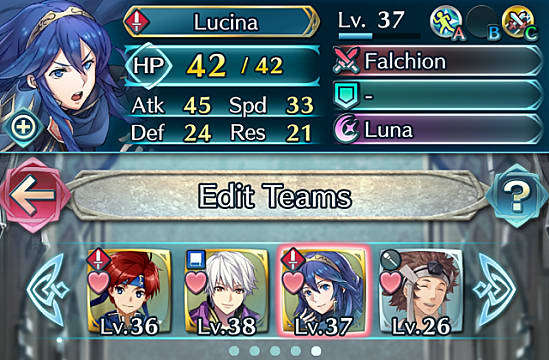 There are multiple ways to build a team, and it is a good idea to level multiple characters so you can switch when you need to counter specific units. That's all for my guide on building better teams and positioning them on the field in Fire Emblem Heroes.